Adventure enthusiasts know how it feels when they embrace the beautiful scenario of nature. And it will be difficult to find an adventurer who doesn’t love the river-side view. That’s why most adventurers choose kayaking and enjoy traveling by seeing the lake-view. But sometimes some travelers face up with trouble while kayaking. And it happens most to the beginners. Even they lead their life into the danger as they don’t know how to get in a kayak after a sudden fall into the water from the kayak. So, it is essential to know all the facts of kayaking before holding the paddle. 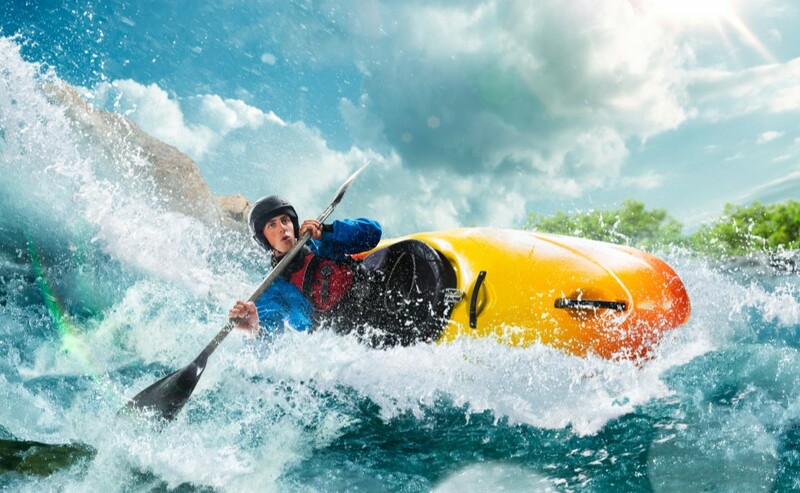 Although getting in and out of the kayak can be tricky for beginners, they should learn the process of kayaking. And for that, they can follow some techniques and steps as well. And, these techniques can help you as well to launch and land the boat safely. Also, you can take the suggestion from the expert kayaking instructor on how to safely get into the kayak. Besides that, you may read this article to make your learning easier. The essential fact to remember when you are in the water, and you are trying to get back on your boat is to keep a firm holding of both the kayak and the paddle. Also, you need to roll it over, if you find the kayak upside down. Also, you should position yourself at the center of the kayak where the seat is attached. Then you can continue the process of rolling and go back to the coast. Next step is you need to place your paddle somewhere on the boat so it won’t float when you try to ascent back into the kayak. Also, you should ensure maximum security lest these paddles should float away. And so, you need to tie them, if you find any possibility. After securing your paddle and ensuring your position at the side of your kayak, you need to grab the rim of the cockpit (find the nearest to you) and kick your feet up to the surface of the water. In this way, you will get into the kayak. Now it is time to reposition yourself over your kayak. For that, you need to put your hands on both sides of the kayak, and then you should pull your legs in for a comfortable sitting. You need to make sure that your yak is stable and does not float before getting into the kayak. If you are on a shore or waterfront, your kayak should be parallel to the coast or the dock so that you can stand on one side and the water is on the opposite side. Before entering into your kayak, make sure that you are holding the kayak and paddle correctly. And for that, you need to use your right hand to hold the rim of the back of the kayak as well as the paddle when you are on the left of the bow (the front of the kayak). Try to use your left hand when you are in the opposite position. Imagine the bow is on your left, so you need to put your left hand on the ground and put your right leg inside the cockpit. Then let both arms take your weight as you leave the field. After holding your paddle correctly, you need to ensure that your body is positioned at the center of the paddle. Each hand should be equidistant from each end of the shaft. You need to be sure that your grip on the paddle is firm but loose enough for paddling. After griping firmly, you need to loosen up your other hand for the rotation, so each will alternate between loose and firm grip. To paddle forward, you should place the blade entirely into the water and remove it with the next hand. While doing the process, use your other hand to move forward. You will find that your body is twisting with the movement. You need to repeat the action of paddling forward, and this time you should paddle in reverse. Also, remember to twist your body while paddling. So, you can see the direction. Turning seems to be more difficult for beginners. You need to practice until you become a master at turning around the kayak. The process of turning is to repeat the paddling motion on only one side where you want to turn. Use short and strong strokes as well as keep an eye on strokes shouldn’t go behind your body. Besides that, you need to point your head in the direction where you want to turn and lean your body as well. That will create ridges on the side where you paddle. And in this way, you can turn your kayak. Kayaking is an enjoyable activity. It is not a challenging process at all until you get used to it. Every kayaker has at one time had difficulty while trying to get into a kayak though. Before going kayaking, you need to remember that safety is essential. No matter where you paddle, first you should ensure your security. Hope you enjoyed our review and our effort may help you.